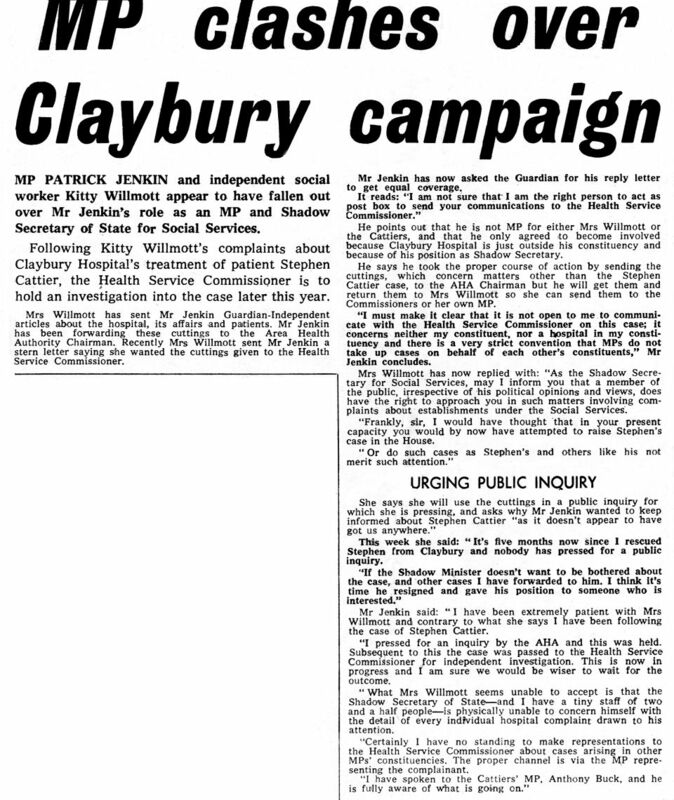 Guardian 28/01/77. MP clashes over Claybury Hospital campaign re. Stephen Cattier.